The holidays are a magical time to take a European river cruise. These themed river cruises provide vacationers with the opportunity to experience festive Christmas markets in Europe’s most charming cities. If you’re taking a Christmas markets river cruise this year, here are ten great tips. Cruise vacations are a bit different than your typical land-based trip. For first-time cruisers, choosing the right ship and planning their vacation can be a bit overwhelming. Here are ten of the most common mistakes first-time cruisers make with some tips on how to avoid them. If you're planning a pre- or post-cruise stay in Orlando, there are many ways to stretch your travel dollars. Here are 10 great budget-saving travel tips help you find deals, save money, and get the most out of your Orlando pre- or post-cruise vacation. 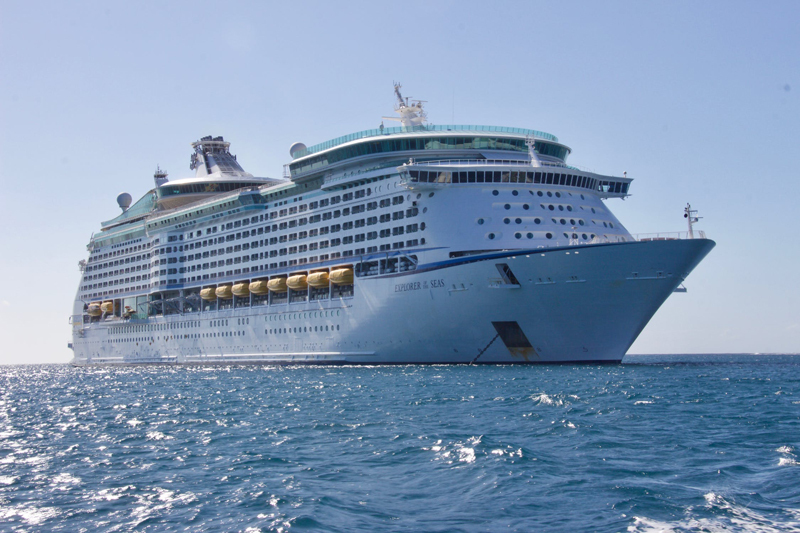 Novovirus often makes headlines connected with cruise ship vacations, but according to the Center for Disease Control, this highly contagious form of acute gastroenteritis commonly shows up in other locations as well. Here are ten tips for avoiding novovirus on your next vacation. Cruises are great choices for family vacations. Cruise lines offer a wide variety of exciting itineraries and there’s something for everyone onboard today’s cruise ships. If you’re planning a family cruise, here are ten tips for making it your best vacation ever. River cruises are more popular than ever. These enlightening cruise vacations are a wonderful way to experience different cultures in an authentic and personal manner. If you’re planning a river cruise vacation, make sure to read these ten important tips for your next trip. It’s easy to gain weight on vacation and the dining options on today's cruise ships are particularly tempting. Cruise vacations don’t have to be synonymous with weight gain, though. It's all in how you approach it. If you’re trying to avoid weight gain on your cruise, here are ten great tips. Cruise vacations include a lot of activities and features, but alcoholic drinks and soft drinks are generally not part of the package. 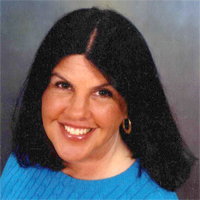 Experienced cruise vacationers know a number of good ways to keep costs down, though. Check out these ten great ways to save money on drinks on your next cruise. Frequent cruise vacationers have their own personal routines and pointers for getting the most out of their sailing experience. Here are twelve top tips from cruise experts to help you plan your next cruise vacation. Many cruise vacationers book hotels in conjunction with their travel plans. Hotel rates can be expensive, but there are many secret ways to find great deals. If you're planning to stay in a hotel on your next vacation, here are twelve insider tips to help save money on hotel bookings. The week before vacations are hectic. It’s important to prepare properly, however, and avoid leaving important things to get done until hours before your cruise. By then, it can be too late to get some tasks accomplished. Here are twelve things to do at least a week before you leave on vacation. Travelers often focus on making air and sea arrangements for their cruise, but put off thinking about the details of their trip until a night or two before they leave. This can lead to problems. Here are twelve tips to help you avoid travel nightmares and properly prepare for your next cruise. Cruising is a great vacation value, but it’s easy to rack up a big bill once onboard the ship. While meals are included, there are plenty of optional expenses that can quickly tax your budget. Here are 15 tips for saving money on your next cruise. Pickpocketing and theft is a concern for many cruise passengers, raising questions about how to avoid loss and stay safe on vacation. While pickpocketing can happen on any trip, there are many ways to guard against it. Here are twenty tips to help prevent pickpocketing and theft on your vacation. Cruise vacationers want their stateroom to provide all the comforts of home and plenty of storage space. In addition, they want to get the finest stateroom they can afford at a great price. Here are five insider tips for landing the best cruise cabin and making it as comfortable as possible. New ultra-large cruise ships are popular, featuring a wide variety of specialty restaurants and cool amenities. Sometimes it’s nice to cruise on a smaller mid-size ship, however, especially if you’re looking for a relaxing cruise experience. Here are five reasons to cruise on a mid-size ship. Cruise vacationers don't spend much time in their stateroom, but they want it to be a peaceful spot where they can sleep easily. Choosing the right cabin can make a major difference in enjoying your cruise vacation. Here are five tips for avoiding noisy staterooms on your next cruise. Dining is one of the most anticipated aspects of a cruise ship vacation and it’s a key factor in guest satisfaction. If you want to get the most out of your cruise ship dining experience, here are five important tips to keep in mind. Mediterranean cruises are generating lots of interest among today’s family and multigenerational vacationers. Cruising is one of the easiest ways for families to experience some of Europe's greatest treasures. Here are five tips to help you plan a fantastic Mediterranean family cruise vacation. Cruises are an excellent choice for a holiday vacation with family and friends. Cruise ships are festively decorated and offer a wide range of holiday activities for all ages. In addition, easy-drive home ports also eliminate costly airfares. Here are five tips for planning a holiday cruise. Some cruise vacationers are adding another "must do" activity to their list: visiting Pandora - The World of Avatar at Walt Disney World. Combining Disney with a cruise is easy to do, either by sailing out of Port Canaveral or visiting on an excursion. Here are five tips for planning your trip. Hurricanes aren't the only weather-related issues that can hamper your cruise vacation. Weather of all types can affect your cruise, from thunderstorms that make flight connections impossible to high winds affecting port visits. Here are five tips to help you weatherproof your cruise vacation. Days at sea can be one of the most relaxing parts of any cruise experience. Sometimes finding a lounge chair on days at sea can be difficult, though. If you’re worried about getting deck chairs on your cruise or are tired of dealing with deck chair hogs, here are five ways to solve the problem. Located in the Western Caribbean, Grand Cayman Island offers a wide array of attractions for cruise guests, including stunning Seven Mile Beach, beautiful coral reefs and world famous Stingray City. If you're planning to visit Grand Cayman, here are seven great shore excursions for your cruise. Cruises can provide a great escape from winter’s cold weather. Winter months can be filled with travel hazards like snow and ice storms though, which can wreak havoc on flight schedules. Here are seven flight planning tips to help you arrive on time and avoid missing your winter cruise departure. Multigenerational vacations are one of today's top travel trends. Multigenerational cruise vacations can give families plenty of opportunities for making memories together when planned correctly. If you’re planning a multigenerational family cruise vacation, here are seven major pitfalls to avoid. If you're dreaming about voyaging by ship to tropical or exotic locations, make sure you don't get left at the dock. Following these seven tips will help to eliminate stress from your vacation and put your holiday on cruise control. Airfares can be a huge part of any vacation budget, but experts often know hidden ways of finding the cheap flights. A little research can often save hundreds of dollars per ticket. If you’re looking for a fantastic airfare deal, here are seven insider tips for finding a great cheap flight. Cruise vacations offer so many memorable moments and experiences. You'll want to capture them with outstanding vacation photographs so you can share them with family and friends. If you want to get amazing vacation photographs, here are seven tips for taking the best photos ever on your next trip. It’s possible to get great last-minute deals on cruise vacations. Many cruise lines often discount unsold staterooms sixty to ninety days prior to departure. Here are seven insider tips that will help you uncover great last-minute vacation deals and save money on your next cruise. In today's economic climate, families are looking for travel deals and ways to stretch their vacation dollars. Family cruise vacations are an excellent value if you do your homework and book carefully. Here are seven tips that will save you money when buying your next family cruise vacation. The Baltic is a treasure trove of history and culture. There are so many extraordinary cities to explore on a cruise through this region. Getting the most out of your trip requires some advance research and careful planning. Here are seven tips to help you plan a great Baltic cruise vacation. Many vacationers look for ways to cut costs and there are many options for saving money on a cruise. Some cost-cutting moves could potentially cause major problems and hamper your vacation enjoyment, however. These should be avoided. Here are seven ways not to cheap out on your cruise vacation. Planning a memorable cruise can be easy, particularly if you choose the right ship. Check out these seven ways to create a special fantasy cruise for you and your family. Cruising is an excellent vacation value, but everything available onboard is not included in your cruise fare. It’s easy to spend money onboard the ship and there are plenty of options to tempt your wallet. Here are seven money-saving tips to help you stretch your budget onboard your next cruise. Cruising is a fantastic travel option enjoyed by many vacationers. One of the main reasons why some people shy away from cruising, however, is the fear of getting seasick. If worries about getting sick are keeping you from sailing, here are nine ways to avoid seasickness and enjoy your cruise. Cruising is a wonderful way to discover the charms of Europe. European destinations offer a rich tapestry of cultural, adventure and learning experiences for travelers of all ages. If you’re planning to take a European cruise vacation, here are nine tips to help you prepare for your trip. Travelers eagerly look forward to their cruise vacations. It’s possible for these much-awaited vacations to go awry, however, without proper information and advance planning. Here are seven common mistakes to avoid on your next cruise. Cruises are a great choice for family vacations. Today's ships offer a wide variety of family-friendly accommodations. Make sure to carefully consider your family’s needs when choosing your stateroom. Selecting the right cabin can play a key role in the success of your family’s cruise vacation. Thinking about combining a cruise from Miami or Fort Lauderdale with a relaxing pre- or post-cruise getaway? Head to nearby Islamorada, the gem of the Upper Keys. This area offers great places to stay and a wide variety of attractions for every interest and age group. If you're looking for a budget-friendly vacation in the Caribbean, Mexico or the Bahamas, consider a cruise departing from a nearby U.S. home port. Driving eliminates the cost of expensive airfares, but there are more ways driving can save hundreds of dollars on your vacation. Find out how here. Need to get away? Consider taking a last minute cruise to relax and enjoy a quick break. There are plenty of last minute cruises to meet your needs and you might even get a bargain as well. Here are seven tips for taking a last minute cruise, saving money, and finding great last minute cruise deals. Looking for a great way to escape winter’s chilly temperatures? A tropical cruise to the Bahamas, Mexico or the Caribbean may be just the answer. 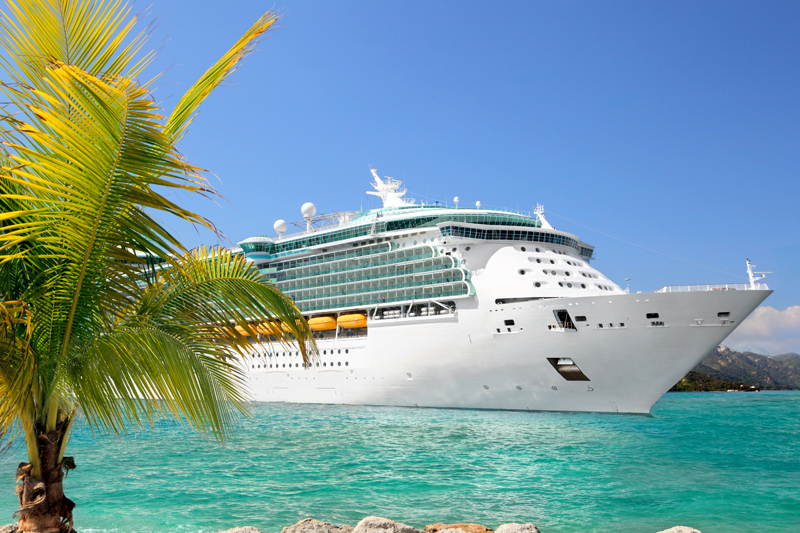 Here are seven tips for planning a last-minute tropical cruise getaway this winter. Great cruise vacations are made up of awesome experiences and memorable moments spent with those you love. While one vacationer may enjoy relaxing in a tranquil place and time in the spa, another may crave constant entertainment and adrenaline-charged thrills. Here's how to satisfy both at sea. There are a number of options for a restful cruise vacation. Some take a little pre-planning, but others will work even on the most crowded ship. If you’re looking for a peaceful cruise vacation, here are seven tips that will help you find nirvana at sea. The trend towards specialty restaurants on ships has led to a wide variety of dining options at sea. To maximize your cruise enjoyment and stay within your budget, look for ships that offer a variety of standard dining choices as well as free or low cost, value-oriented specialty dining options. River cruising provides a luxurious way to see Europe in a convenient manner. Given its many benefits, it’s easy to see why river cruising is one of today's top travel trends. If you’re planning to take a European river cruise vacation, here are ten tips to help you get ready for your trip. Travelers can give back and help others on vacation, both on land and while sailing the high seas. Shipboard programs offered by cruise lines make giving back both easy and fun. Here's a great way to give back on your next cruise. Rather than giving more stuff this year, consider choosing engaging experiences as presents instead. Experiences such as travel and excursions are often more meaningful, creating vivid memories that will last longer than that sweater, knickknack or toy. Gifts like these are sure to be treasured. Settling in quickly on a cruise ship can make your vacation much more relaxing. It’s nice to know your way around, return to a welcoming stateroom, and dine every night at a place “where everybody knows your name.” Here are five ways to settle in quickly and feel more at home on your next cruise. Cruises can be terrific vacation value, particularly for those who shop carefully. There are a number of ways to save money and get an excellent cruise vacation deal, particularly for those who can be flexible. Here are are seven great tips for saving big on your next cruise. Cruise passengers stopping in Grand Turk often fall in love with this beautiful Turks & Caicos island. The good news for vacationers who discover Turks & Caicos on a cruise is that it’s easy to return to this tropical island chain. Now that you’ve found your paradise, head back and stay awhile. Cruise vacationers can have fun on their cruise and give back to others, both on their ship and while ashore. Programs like those offered by Carnival Cruise Line, Holland America Line and others make giving back while sailing both easy and fun. Here's how to make a difference on your next cruise. It’s important to think about overseas purchasing options and managing your money before embarking on a European cruise. Steps must be taken before arriving overseas. Here are seven tips for managing your money and making sure your credit and ATM cards are ready for your upcoming European cruise. You cruise ship crew often works 7 days a week, 14 hours a day. Why not give them a cool treat, with a money origami tip! If you’re flying to your embarkation port for a cruise to Mexico, consider packing light. Traveling with just carry-on luggage can help avoid lost or delayed baggage problems caused by flight problems. Here's a detailed carry-on only packing list for a Mexico cruise plus some helpful packing tips. Today’s cruise ships are filled with exciting options in dining, attractions and venues. Rather than settle for the same vacation as other guests, customize your next cruise to reflect your interests and the experiences you’re seeking. Here's how to make your next cruise unique and memorable. Many avid travelers view dining and culinary experiences as one of the best parts of their cruise vacation. For these vacationers, it’s particularly important to choose the right ship with the perfect mix of restaurant offerings and food choices. Here are five great tips to keep in mind. There are a number of benefits to taking a tropical cruise during the late summer and fall. Major hurricanes can wreak havoc on cruise ports and schedules, however. Here are five potential events that can happen when cruising during hurricane season and helpful suggestions for dealing with them. If you're seeking a convenient vacation that offers great value, consider a cruise from a nearby North American homeport. Cruises from close-to-home ports can take you to sunny beaches and enticing destinations, often cutting vacation costs in half due to airfare savings. Check out these tips. Port days can be packed with shore excursions and activities, but some cruise guests prefer to spend their days chilling out at a beautiful beach. Resort day passes can be the perfect answer, offering a nice mix of both options. Day passes can be arranged in almost every Caribbean port of call. If you're looking for a convenient holiday vacation that offers a good value, consider a cruise. Holiday cruises from close-to-home ports will take you to tropical sunny beaches, sometimes for less than the cost of a round-trip air ticket alone. So book now and enjoy a festive holiday at sea. Photo safaris are a fun way to learn more about your ship. They’re also a great way to gather pictures to share with your friends on social media. The best time to do a photo safari is the morning of your first day at sea. So take a photo safari on your next cruise and see what you find. Hurricane season officially lasts from June 1 to November 30. Vacationers can find some great cruise bargains during these months, but it's important to be aware of the potential pitfalls and consider your options carefully. Here's what to know before planning or taking a hurricane season cruise. When booking rooms online for pre- and post-cruise stays, it's always important to read the fine print. This axiom is particularly important when booking family-sized European accommodations online. Ignoring this advice could easily send your budget hundreds of dollars into the red. Exploring exciting ports of call is a key part of the cruise experience. While many cruise guests take excursions offered through their ship, others prefer to travel on their own or with a small group. If you’re considering booking an independent cruise shore excursion, here are five great tips.